The Reserve Bank of India has to take an extremely tricky call tomorrow. The Indian central bank has pushed up its key policy rate by a cumulative 500 basis points since early 2010, in a bid to bring down inflation. It has had mixed success. There are some signs that inflationary pressures have peaked, especially core inflation, though headline inflation continues to be too high for comfort. India has had 20 consecutive months of 8%-plus inflation. The inflation expectations of households are well into the double digits, which is one reason why there are signs that a wage-price spiral has been built up: workers demand higher wages to protect real earnings which in turn puts pressure on producers to hike prices which leads to another spike in inflation. There are clear signs that the Indian economy is slowing down. Data on factory output, car sales, cement dispatches and the order books of capital goods companies point to an economic slowdown. Mint reported on Monday that the capital spending plans of the BSE 500 companies will be muted this fiscal. The early results announced by Indian companies for the September quarter have been disappointing. Finance minister Pranab Mukherjee has recently admitted that the economy will grow at less than 8% this fiscal. It is quite likely that the RBI will cut its growth forecast tomorrow by 50 basis points, to 7.5%. The slowdown in economic activity will likely reduce the pricing power of companies, a sign that inflation is tapering off. A good harvest could help ease food prices while global uncertainty and a slowdown in China could push down commodity prices. Many central banks in the developing world have either paused (Malaysia, Philippines, South Korea) or have cut interest rates (Brazil, Indonesia, Singapore, Turkey, Pakistan and Russia). 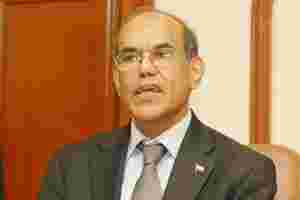 It’s going to be a bit of a high-wire act for governor D. Subbarao tomorrow, as he tries to balance between the persistence of inflation and the growing risks to growth. There is no case to cut rates right now. The choice is either between a pause and another rate hike. The case for a pause is now stronger than it has been in the past two years. In case he does decide to pause, Subbarao will then have to send out a clear signal that the central bank will continue to maintain an anti-inflation vigil. The tone of the policy will have to be hawkish.